Before the RV season begins, you should check for water damage. Doing this can save you a lot of money and prevent damage before it occurs. Damage from water is one of the most common problems that plague RV owners. This type of damage to recreational vehicles can cause thousands of dollars in repairs if not dealt with quickly. In fact, your RV may already be affected and you may not even realize it! This is why it is so important to check for any signs of it several times a year. Unlike in your home or business though, there is usually no need to contact a water disaster restoration company immediately as you might be able to get shelter elsewhere. Click here to learn more about water damage in homes. -Begin by examining the exterior of your recreational vehicle. If you notice any bubbles in the fiberglass, it can be a sign of water damage. – Check for damaged or faded wallpaper. If you see areas where the wallpaper is damaged, peeling or faded, you could have water caused damage. – Does the inside of your RV smell funky? This is often is also a symptom. Any new smell should be investigated. Water can sour or cause mildew to begin growing in your RV. Let your nose do the sniffing when checking. – Rust is another sign. Check underneath your windows for any discoloration. Also, look for rusty nails, screws or moldings as they can be an indicator of rain or flood water causing damage to the RV. – Check out the areas around your vents and ceiling fans. If you notice any discoloration or if the area is soft, then there is probably damage from rain, moisture or a pipe leak. – Check out your RVs ceiling. If you see discoloration around the top of the walls or on the ceiling, the area has probably been affected by excess water. – Do your floors feel spongy? If so, water damage may have occurred. If you detect any of the symptoms listed above, search out the source of the problem. By finding these problems early, you can save money and prevent further harm to your RV. Remember that RVs are often in motion. While it is moving, bumps in the road and vibrations can cause seals to loosen, which can allow water and condensation to enter the RV and become the cause of further problems. Checking your RV regularly for the signs and symptoms of water damage is one of the best ways to protect it from further ruination. Even if you live in an arid location, you should inspect your Recreational Vehicle at least quarterly. If you live in an area with high humidity and a lot of rainfall, you should increase the frequency of those inspections to at least two or three times each season while being also aware of any mold growth. All RV beginners need to learn a few important things before they make their maiden voyage. Whether you want to travel full-time, or you are looking for a weekend camping opportunity, this article will highlight six quick tips to consider before you decide to hit the road. Tip 1 – Buy Or Rent? This may not be the easiest decision to make since there are advantages and disadvantages of both methods. But if you consider a few important factors, the decision becomes easier. Buy: If you plan to RV camp on a regular basis or full-time, and you have storage when you aren’t traveling, buying will benefit you in the long run. Rent: If you plan on a single trip or need to test the waters before buying, renting will benefit you. Beginner RVs need to take the time to learn how their motorhome works, even if you have rented the RV. If something breaks, you should have some idea of how to assess the problem and fix it. It will save your time and money spent on a mechanic. When you know your RV, you will not make that much of operational errors. For instance, if you don’t have any idea of a number of amps the main breaker can handle, you are going to blow it very soon. This is an expensive error which can be avoided by getting to know your RV. Take a small trip on a similar terrain to the rods that you plan to drive the RV. You are still not familiar with how hard it will be to switch lanes, ascend hills or park. When you are thorough with the intricacies of driving an RV, you can improvise. For instance, your drawers may pop open most of the time. Hence, you need to find a way to keep them shut. You need to add all the things that your RV might require in the toolkit. Some items include light bulbs, extra fuses, nuts & bolts, jumper cables, and connectors, etc. Make sure you bring the parts that are unique to your RV. If not, you run the risk of having to wait for the part to be ordered and shipped to you. There is a certain thrill in going where you want when you want. Most homeowners prefer to be on the go when they know that their homes are on wheels. 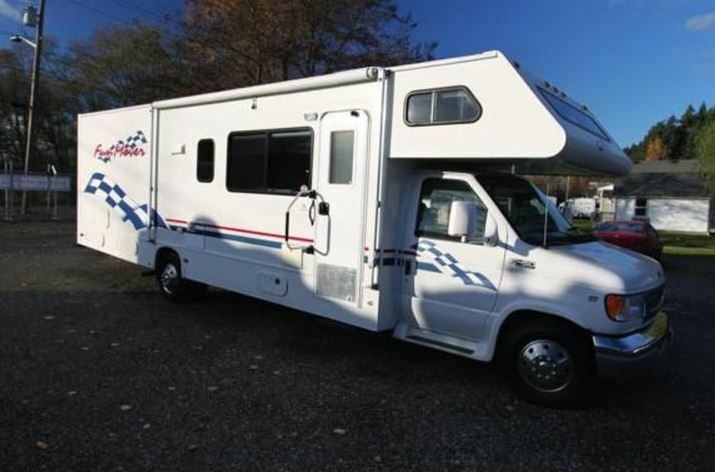 But it is highly recommended that you have a set plan, especially if you are a beginner RV. It helps to have a solid plan in place before you make your first RV trip. When planning your first trip, there are many important factors to consider. Here are the main factors to consider: Your budget: how much can you allocate for food, overnight stays, and fun? Food supply: to buy or eat out? Route: the route you plan to take as well as alternative options. Stops: the important places that you need to see along the way. Campgrounds: where you plan to call it a night along the route. You may not have a campground routine as yet. Hence, a checklist will ensure that everything is set up as it should be. The checklist you prepare should include: check the site for obstacles and low hanging branches on the ground. Locate the water, electrical, and sewage hookups. Pull the RV close to these hookups and level it with stabilizing jacks or blocks. Chock the wheels of the RV if required. Connect the rig to the electrical hookup and switch the appliances to obtain power from this source instead of the battery. Attach the sewer hose to the drain hookup – make sure you wear gloves for this purpose. Put out the awning and start setting up the campsite. RV is one of the greatest ways to travel as you explore the outdoors. RV beginners can have a great and stress-free trip when they know the basics.